AMC's Hornet bowed in the fall of 1969 as a 1970 model. It was designed to replace the Rambler, the car that started the modern compact revolution. Even as American Motors' president Roy D. Chapin stood before microphones to tell the press that the 1968 Rambler would be frozen in style and price for years to come, he had three styling teams busy as a barrel of monkeys secretly whipping up the Rambler’s successor. Rambler was a sacred name in auto history—first gracing a line of bicycles in the 1890s and then on a line of fine automobiles from 1902 to 1912. The name was polished up and returned to work in 1950 with the advent of the modern Nash Rambler. Synonymous with compact-sized automobiles and outstanding value for the money, the moniker had been around for almost two decades. Rambler was an automotive hero and like a hockey great, it was about to hang up its skates, its jersey retired forever. Any vehicle that would deign to replace such an icon would have to carefully crafted. The result of a marriage between pioneer Nash and historic Hudson, American Motors had come into existence in Canada in January of 1956. The company built cars in Toronto and then later in Brampton, Ontario. As the smallest of the Big Four automakers, the folks at American Motors often did things on a shoestring budget. To introduce Rambler’s successor, top brass earmarked a whopping $40 million and dedicated more than a million man hours to this project. There would be only one kick at the can and the company couldn’t afford to miss the mark. To do so would send the firm to automotive heaven where Studebaker had gone only two years earlier. The 1970 AMC Hornet SST four-door sedan listed for $2,775 f.o.b. Brampton, Ontario. Vinyl tops were available in three colours at extra cost. Stealing a page from its own history, the Hornet bowed as “the little rich car,” just as the Nash Rambler had two decades earlier. Like the small Nash, the Hornet was dressed to the nines in SST form. Unlike the Nash Rambler, the Hornet could also be ordered as a stripper. 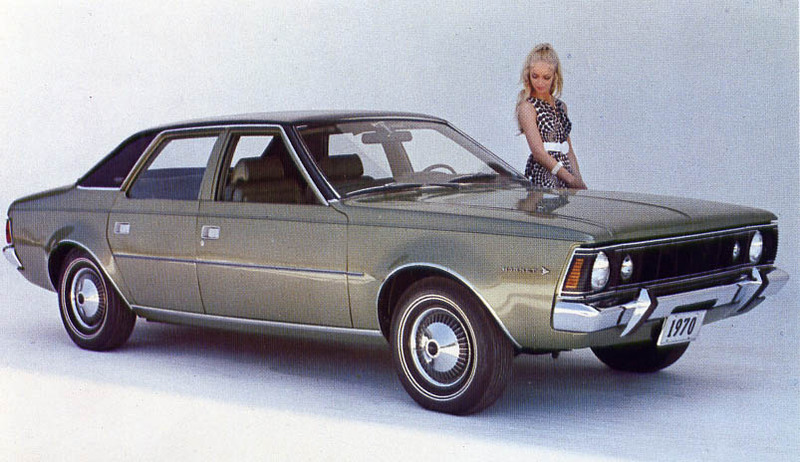 Sturdy unit-body construction was the secret of the 1970 AMC Hornet’s superior strength. This aircraft type of mass auto manufacturing was pioneered by predecessor Nash in 1940. With or without the Rambler nameplate behind it, Hornet was new from the ground up. 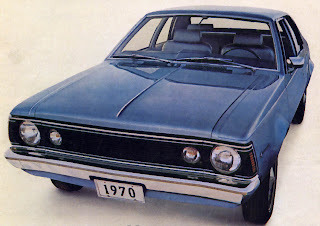 Available only as a two- or four-door sedan, the whisper quiet, unit-body vehicle rode on a pert 2 734-millimetre (108-inch) wheelbase. Designed by in-house stylist Chuck Mashigan, the Hornet’s long hood, rear short deck and graceful roof profile was classic. 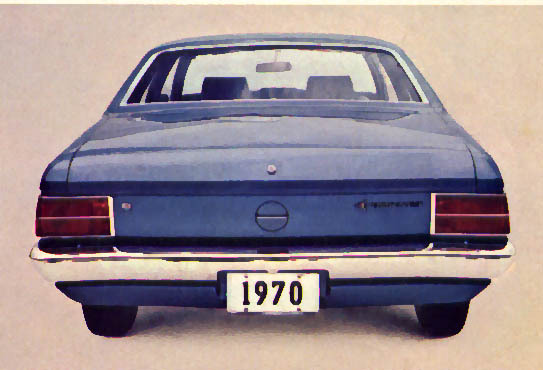 No one knew it at the time but the versatile body shell would serve American Motors for the next twenty years. The grille was exceptionally clean and simple with black horizontal ribs punctuated by single headlights at the outer edges. Those were snuggled up to by large, round inset turn/parking lamps. The rear quarter was equally clean boasting a pair of horizontally split taillights. A tasteful brightwork insert dressed up the rear of SST models. 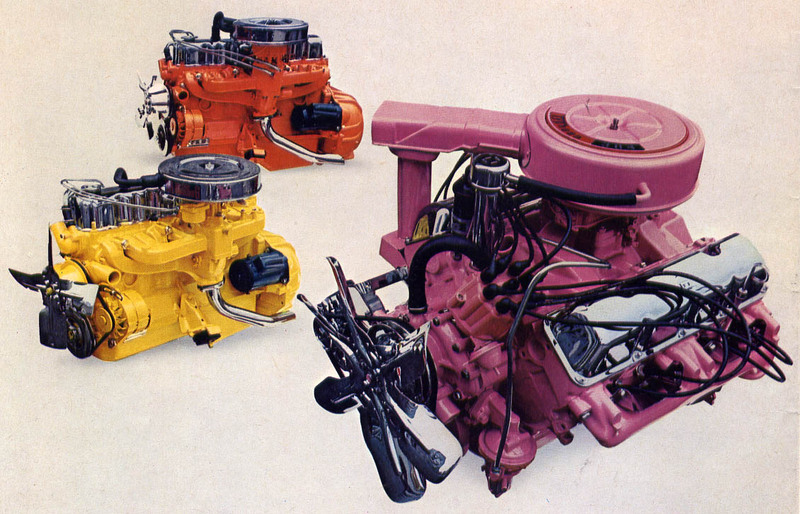 Hornet could be powered by any one of three AMC-designed engines, the 3-litre (left), the 3.2-litre (centre) or the 5-litre V8 (right). A trio of engines was available for power. The thrifty 3.2-litre (199-cubic-inch) six was the standard mill. The 3.2-litre (232-cubic-inch) was optional on base models but standard equipment on the upscale SST versions. For kicks, AMC’s 5-litre (304-cubic inch) V-8 engine was on tap and it promised to deliver zero-to-sixty in ten seconds flat. Horsepower made its way to the wheels courtesy of a three-speed manual transmission. A floor-mounted shifter was optional with the purchase of the V-8 engine or the Shift-Command automatic transmission. 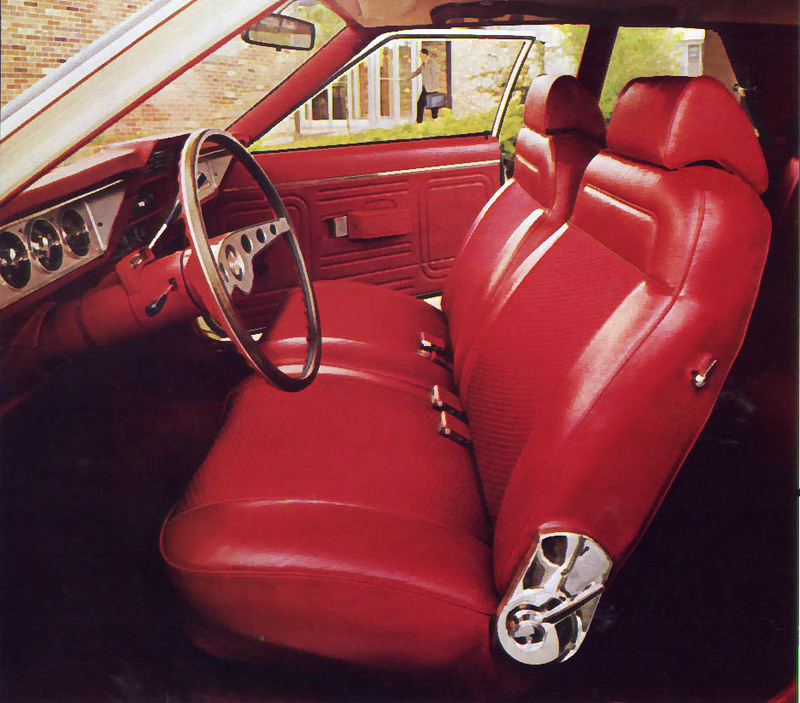 Interior of the 1970 AMC Hornet was capacious. It is seen here with the optional Rattan Weave vinyl upholstery. Colours for the cabins were scientifically selected. 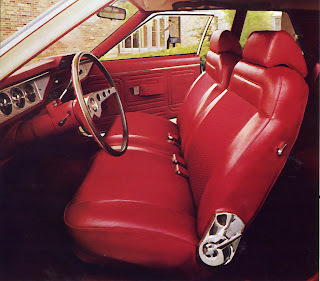 Seats were scientifically contoured to support the back, too. Interiors pledged to have plenty head room, hip room, shoulder room and legroom for five passengers, not four. Even the base models were nicely finished. Advertising bragged, “Everything about Hornet says unbridled luxury.” The instrument panel featured a recessed strip running the width of the interior, interrupted only by a tasteful tier of controls vertically stacked at the centre. Circular gauges were easy for the driver to read. The list of options was as carefully screened as nominees under consideration to receive the Order of Canada. They included automatic transmission, power steering, power brakes, air conditioning, tinted glass, vinyl roof and full wheel discs. One could order bumper guards all ‘round, a locking gas cap, an engine block heater, an AM push-button radio, a custom steering wheel, an electric washer and wiper setup, an electric clock, side scuff moulding, two-tone paint jobs and pinstripes. Even though Jeep was added to the American Motors family, 1970 turned out to be a poor year for American Motors of Canada Limited. Only 18,181 passenger cars were sold during the calendar year. There was a changing of the guard as Bill Pickett became the new president of the Brampton-based company. He had his work cut out for him; The Big Three were not the only competitors these days: upstart imports Volkswagen, Datsun and Toyota and others were all vying for sales with Hornet, competition in a market segment pioneered by Nash in 1950. As seen from the rear, the AMC Hornet was striking. The 1970 base model sold for $3,374 f.o.b. Brampton. And weighed 1 207 kilos (2,662 pounds).